Our customers have been counting on us for repair services and stove parts in Concord CA for years. We realize just how much competition there is for stove repair in your area. Our crew is punctual and gets the job done as efficiently as possible. Don't forget to have your stove inspected regularly. 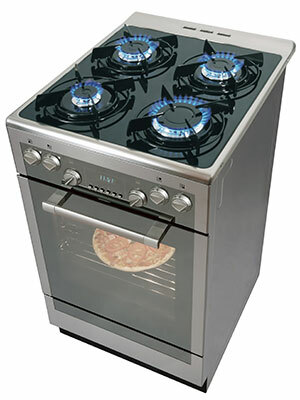 Having routine maintenance performed is the key to extending the life of your stove for as long as absolutely possible. If your appliance is not up to speed or only partially functioning, get it fixed today. The stove is a staple appliance in every household. We know this and that's why we work quickly to restore your range back to its original working order, or better for that matter. Is one of the surface elements not working on your stovetop? If so, it's possible that the respective coil surface element is burnt out. Usually, you can remove the element out of its socket and test it with a meter to see if there is continuity. If the element is defective, look to see if you can notice any coil damage. Lastly, re-insert the element into the socket and ensure it is as far in as possible. Sometimes, the element may come loose in the socket and prevent the element from working.